Do the stats bear this out? Looking at T20 cricket only, we can calculate Boundary and Non-Boundary Strike Rates for the “Big 4” teams over the past two years. The numbers show that although India’s Non-Boundary Strike Rate is the lowest of the Big 4, at 61 runs per 100 balls, it is only just less than Australia’s at 62, whilst England have the best Non-Boundary Strike Rate at 67. On the other side of the coin, India’s Boundary Strike Rate is the best of the Big 4 – basically, they hit a lot of 6s, giving them a Boundary Strike Rate of 432, just ahead of New Zealand’s 429. Conversely, England’s Boundary Strike Rate is the lowest of the Big 4, at 419 – they don’t hit so many 6s! Overall we can see that whilst these differences aren’t huge, they are at their biggest when you compare India and England. England are seeing the benefits of the back-breaking fitness regime introduced by Mark Robinson 3 years ago, running like badgers between the wickets; whilst India have a more… shall we say… laid back attitude! But overall though, she is right – this is an area India need to be working on – they’ve already got the hitting – add the running and they could be the world-beaters they long to be. How old is this city? 66 million years ago the Indian continental plate was somewhere over where Mauritius is now, a volcanic hotspot that erupted through it in four or five waves over the course of a million years. It may or may not have been triggered, in part, by the famous meteor impact at Chicxulub, Mexico. Together, those two wiped out most of the non-avian dinosaurs. Also, incidentally, the lava from what are called the Deccan Traps, spilled over the ridge on the western coast of the India plate, creating both the Western Ghats (Sahyadris, Nilgiris and more) as well as, with the overspill, the series of north-south oriented mounds, land and hills, that is the skeleton of the present day city of Mumbai. But it was not until 1666, as part of the dowry (Britain’s term) of Catherine of Braganza, or hostage payment (Portuguese view) that it was ceded to the British and began to take the form of the entrepot it became. In the 19th century and early 20th, land connecting its southernmost islands was reclaimed from the sea, joining them up with a series of causeways to make a single island from Colaba to Mahim. And the cotton trade turned it into a thriving city. The England women’s team are staying at the Oberoi hotel complex in Nariman Point. The land there was only reclaimed in the late 1960s, over 300 years after the British gained Bombay, over 20 years after India gained Independence. It is some of the newest land in the city, and their hotel buildings still look modern, concrete and square. From their windows the players look out over the shallow bay that curves north and then northwest, past the famous Chowpatti (“beach”) and sharply round the base of Malabar hill on the horizon, a few kilometres away. Malabar Hill might remind them, if they were interested in geology, that Bombay was built on the overflow of the Deccan Traps, like a large, long (north-south), narrow shoal of volcanic rock rising from the sea. Were they to look along the curve of the bay, most of it reclaimed a 100 or more years ago, they will see one of the city’s architectural wonders, a kilometre or so of 1930s Art Deco buildings, all around the same height, all by the side of the road, Marine Drive, looking out across it to the sea. Some were built together and are clearly the effort of a single architect. Others have different imaginations at work. They aren’t maintained in pristine condition, but one can still the balconies, the roofs, the grills on the windows, all reflecting the elements of the era. Architects in the city claim that, after Miami, it is the best stretch of original Art Deco buildings in the world. Behind those buildings, at the end of a short road leading from Marine Drive to the Western Railway line, is the entrance to Wankhede stadium. It too was built in the early 1970s, and your correspondent had the good fortune to watch a day of the West Indies sending the Indian bowlers to all parts in the first ever Test played there, during the 1974-75 tour of India, when Viv Richards was just beginning to make his mark on the game. The city’s soil is based on the basaltic rock of the Deccan Traps, iron-rich and, inland in the main mass of the Deccan Plateau, a bright orange-red, matching the mountains from which they are eroded and brought down by the rivers that run from the Western Ghats eastward across the great peninsula to empty into the Bay of Bengal in the Indian Ocean. In Mumbai, though, there is sand as well, and the soil tends to be a bit yellower than that of the plateau, but it can still look pink a lot of the time. There is little or no clay naturally in this soil and so it can dry out into a very dusty surface. England know all this, of course, since a similar squad played five T20s in Mumbai almost a year ago, in the Triseries whose Final they lost to Australia. That was at the Brabourne Stadium, half a kilometre closer to the Oberoi hotel than the Wankhede, itself no more than a 15 minute stroll from where they are staying. The two may be the two closest international grounds in cricket, but I do not know if that is an established fact. England have, however, planned carefully for this series. While they do not have all their potential spinners, thanks to injuries to Marsh and Gordon, they are well equipped, with Ecclestone and Hartley to turn the ball away from India’s right-handed bats. Sarah “Fastest Hands in the West” Taylor is playing, which must give the bowlers a huge sense of security. Brunt and Shrubsole are fit and playing. So this is effectively a full strength squad, ready to use spin to good effect on these surfaces. They know that though the pitches may be slow, the ball is likely to grip and help both seam and spin. Swing, as always, will be in the laps of the gods. England are also probably aware that Mumbai is a hot city. It sits approximately 19° north of the Equator. Even during the shortest day of the Winter Solstice, the sun at it highest is about about 42° South of vertical. London, by contrast, sits at 51° North. For eight months of the year or so the sun, at its highest, is more than 42° south of vertical. So though it has been a cold “winter”, by Mumbai standards, and the mornings are pleasantly cool, by 10:00 the sun is hot enough to be uncomfortable. The England team will know this and will prepare for it, hoping for some dew or moisture first thing, but in general planning for long, hot, sweaty days (since this city, on the sea, is always humid, even though the pitches may be dry). Another subtlety England may not have noticed is that while Mumbai is on 72° East longitude, it uses IST (Indian Standard Time), 5-and-a-half hours ahead of GMT, that is based on the 82° East Meridian. So Mumbai’s official time is actually some 40 minutes ahead of the sun, which rises, reaches its peak, and sets, about 40 minutes after the “clock time” of the city. It is as though it is on permanent Daylight Saving Time. This means that though it is invariably hot by 10:00 in the morning, the heat lasts until quite late in the day and it is only when the sun has fully set that some of the evening cool may be available. Not much, though, and it means very long hard afternoons. England should feel cautiously confident that they, World Cup holders, might finally win an ODI series in India. They have as good a squad as they can put together, they have plans, and they have experience. India, on the other hand, may have some problems. There was a public row between Mithali Raj and the then coach during the WWT20 in the Caribbean. It is said to have been smoothed over. WV Raman has taken over as head coach. Raj and Harmanpreet Kaur are apparently friends again. In any case Kaur is ruled out of this series through injury. This leaves India with Smriti Mandhana, one of the world’s most charismatic bats, and Raj herself, as the established run scorers in the side. And though it does not matter as much in ODIs as in T20s, there are still mutterings about Raj’s slowness across the ground, her slow scoring, and more. On the plus side they have the world’s highest ranked bowler in right arm wrist spinner Poonam Yadav, the dangerous left arm finger spinner Ekta Bisht, and the all-rounder Deepti Sharma, a right arm finger spinner who rips the ball a lot. In addition, in the veteran Jhulan Goswami, and in Shikha Pandey, they have a very experienced and dangerous opening pace combination. India have progressed in leaps and bounds over the last three or four years. No longer is their ground fielding hit-and-miss, or their fitness or temperament suspect. Even without Kaur, they should have enough batting to set decent targets on their home pitches. Jemimah Rodrigues, for instance, is the teenage hope who has been persisted with and, after a slow start, has come good. Whatever happens, however well prepared England are, India will not easily be walked over. In this city the speakers in English who were born and brought up here still call it Bombay, but it is now Mumbai and that name, in its own way, represents a new, decolonialised India that is proud of its own identity and confident in its abilities. No, this team will not lie down and roll over. Friday, 22nd February 2019. India 202 all out beat England 136 all out. England won the toss. The ODI is the long form of women’s cricket, taking its toll on the player’s stamina, calling on both tactical and strategic nous, with changes of pace and twists and turns leading, if one is lucky, to a tense and exciting finale. Witness the first ODI in the bilateral series between India and England, at the Wankhede stadium in Bombay (oh alright, Mumbai): 80% of the match was over. England needed 95 runs in 20 overs with 7 wickets in hand. 11 overs and 28 runs later, India had won. To make sense of this we need perhaps to start at the beginning. Heather Knight won the toss and asked Mithali Raj’s team to bat, determined that England would take advantage of any available moisture in the pitch. She seemed to have made the right decision, with the reassuring figure of Brunt returning to the team after a long absence and bowling tight at Jemimah Rodrigues’ stumps, while Shrubsole kept tempting Mandhana just outside off. And then, after six overs of discipline the English lost their radar, bowling on the legs instead of the stumps, floating up half-volleys, and more. The result, from a start featuring two LBW appeals, a lucky four over slips, plays and misses outside off for about three runs an over, India then reached their 50 in 10.3 overs. Knight switched to England’s next cunning plan, her left arm finger spinners, but successively, not concurrently. More importantly, Mandhana, who had throughout looked as though she had all the time in the world, but none of the timing, chopped onto her stumps off Elwiss. The pitch could be described as sticky, because the ball seemed literally to stick in it for a fraction of a second when it pitched, and then come on more slowly to the batter. Shots played with a straight bat were invariably too early, and throughout the game drives and nurdles to leg saw it looping into the air, either because the bat was already on the way up, or because the ball hit the leading edge. Apart from a few of the batters on the day, Raj, Knight and Sciver, nobody seemed to want to adjust for this and sweep instead of driving, even though the cross-batted shot was, in these circumstances, the percentage shot. Add to that the fact that the stickiness meant the ball gripped and seamed, and spun, and very occasionally kept low or looped up, and for anyone adopting traditional methods, it was a pitch on which every delivery endangered ones wicket. Deepti Sharma followed Mandhana, thanks to a Taylor special off Ecclestone. Ecclestone is even taller than Sciver and bowls with an upright action, bringing the ball down from a high release point, with great control of her line and length, and made all the Indian batters cautious. Hartley is also a left-arm finger-spinner, but she has a very round-arm action and it may be because of that that her line wasn’t always quite as controlled as Ecclestone’s. But they both found the pitch conducive and controlled India’s batters well. With six bowlers she could afford to bowl them just at one end, and when Sciver and Elwiss got two each, India had lost their first five wickets between 69 and 95 runs. Taniya Bhatia is a tiny player, shorter by about 5 cm than even Tammy Beaumont, England’s shortest player. But she is lithe and enthusiastic, tidy behind the stumps (even though not in the Sarah Taylor class), and an old-fashioned keeper-bat. She isn’t, or isn’t yet, in the Gilchrist or Dhoni mould, but more reminiscent of a Jack Russell or Syed Kirmani: when asked of it by her team she will bat to keep her wicket, nudge, nurdle and drive where possible, and sprint her singles. In a single word, she is feisty, in the best possible sense. She it was who kept Raj company for a 54 run partnership as India recovered, to England’s frustration. And then, as so often happens in these cases, there was a run out. Sciver, leaping athletically at mid-on, chucked in swiftly and accurately at the non-striker’s end and Bhatia was gone. Goswami carefully started to get her eye in. But Elwiss finally got Raj, after a patient, innings-saving, 44. And then (as so often happens in these cases) there was run out. Sciver again, still as athletic and accurate, threw in to Shrubsole at the non-striker’s end, and Shikha Pandey had to leave the field. One run later Brunt gathered the ball while kneeling towards the stumps at the non-striker’s end and… Bisht was gone. Goswami, meanwhile, had her eye in, and hit the ball (without timing it perfectly, given the pitch) hither and yon. It wasn’t the prettiest of innings but she ensured, even as wickets fell at the other end, that she took India to 202 before being the last batter out. Yes the pitch was tricky and not suited to extravagant strokeplay, but 202 still seemed like a disappointing, not a defendable, total. Throughout, the huge Wankhede Stadium looked like Hyde Park in winter, as though the spectators had turned red, yellow and brown, dried up, fallen off, and been blown away in the autumn. Only the bare bones showed, naked and beautiful in their own way, but with that cold feeling of life gone to sleep. In April, come the IPL and Mumbai Indians’ home matches, it will be more crowded and full of movement than a beehive, but to take off a full day’s work for a women’s cricket match was beyond the ability of most Mumbaikars. Shikha Pandey, from India’s second over, showed herself to be the bowler of the match: as quick as Goswami, more accurately targetting a line just outside off, and angling the ball in, with the help of the seam, onto middle and leg. Jones was not perhaps expecting something quite so penetrative and was rightly adjudged LBW on Pandey’s fourth delivery. Beaumont and Taylor did what England expected of them, defending, nudging to leg, driving cautiously and trying to accumulate runs. For a while. Then Pandey, who throughout her first spell that lasted the full Powerplay never lost her direction or pace, trapped Taylor in similar fashion. And when Beaumont got a leading edge, playing too early on the sticky pitch, and seeing the ball loop up to Yadav off Sharma, England could have been in trouble. Luckily Sciver and Knight realised that the sweep was a far safer shot to the spinners than any straight bat shots (which always ran the risk of sending the ball looping up), and deployed that, and stout defence, for the next 73 runs in 17 overs. Which brings us to where we started: 80% of the match was done, and England needed 98 in 20 overs with seven wickets in hand. More importantly, both bats were looking comfortable. And then (as so often happens etc…) there was a run out. Natalie Sciver is tall and broad of shoulder and, without a spare gram of fat on her, gives the impression of being as strong as an ox. She bowls at speed, when she hits the ball it stays hit, and in the field she is as athletic as anybody. But even she cannot overcome the laws of physics. When Knight drove Bisht, the ball went straight back to the bowler and Sciver, backing up, turned to ground her bat as Bisht threw it behind her onto the stumps. Sciver is a big unit and just could not reverse her momentum in time, being about 5 cm short of the crease when the zing bails lit up. This series has no DRS, but it has zing bails. Even then, with Wyatt coming in, England had the opportunity to regroup, get set again, and chase down the target. Unfortunately Wyatt did not quite grasp the nature of the pitch and went for a lofted drive very early in her innings. She inevitably holed out to long on. Brunt, when faced with the ball on or outside off that turns away from her, glares at it in the manner of Eve looking distrustfully at a serpent with an apple in its mouth. Bisht is a left-arm finger-spinner with an action as round-arm as Hartley’s, but with more rip and seemingly better control of flight and line than Hartley. Yadav, right arm, but a wrist spinner, is also not to Brunt’s liking. It was inevitable that she would succumb, missing one with her outside edge as she came down the track to negate the spin, and getting stumped before she could slide her foot back behing the crease. From then on it was the Bisht show, with the England batters, bar the captain staring aghast from the other end, seeming to panic and losing their wickets without resistance. Knight had spoken of England’s depth and strength of batting before the series, but tiny Ekta Bisht, after Goswami had accounted for Elwiss, blew through the last three without giving away a run. And it all started with the unfortunate run-out of Sciver. That’s why cricket is so confounding. We like to believe there is cause and effect in it, that we can trace the blame back to such and such action by so-and-so. But sometimes we have to accept that there are uncontrollables. India batted as best as they could in the face of England’s six-person attack, but set what should have been a sub-par score. England lost wickets to some excellent bowling, but had enough batters, and enough experience to overhaul that score. It went the wrong way for them. For India, it is a matter of getting their middle order batters to be a bit more disciplined. For England, perhaps the same should apply to their top order bats. But no matter how hard they work, you cannot practice luck in the nets. Tuesday, 25th February 2019. England 161 all out were beaten by India 163 for 3. England won the toss. There is much talk in the men’s game of players like Rangana Herath, Shoaib Malik and Chris Gayle, last of the cricketers who made their international debuts in the 20th century and are still playing (although Herath is now retired). Mithali Raj made her international debut on the 26th of June1999, and doesn’t look like retiring yet. She has scored more runs in ODI cricket than any other woman, and two years ago she charmed all the viewers of the World Cup by waiting near the boundary, padded up, and reading Rumi. Women’s cricket is more confident in its right to exist, and be respected, than ever before, particularly in India thanks to a legend called Mithali Raj. On this day she marshalled India’s bowlers on the field, and then yet again India’s batters with her bat in hand, to make what should have been a tough contest seem almost like a sinecure. For England, winning the toss and deciding this time to set a target first (and dropping Wyatt for Winfield in search of slightly more reliable runs) it still began predictably: with Shikha Pandey looking by far the best bowler this series had seen, Jhulan Goswami doing again what she has done for India for so many years, and England’s top order perishing playing around their pads or nicking off or chipping to fielders. Except this time even Knight could not find the wherewithal to fight back along with Sciver, so Nat had to play a lone hand, scoring all the runs she could while wickets fell with regularity at the other end. She must have felt a bit like Knight at the end of the previous match. Beaumont provided some support up front, and Winfield also tried to stick around. But the rest of the England batters could not stand up to the line and length that Goswami, and in particular Pandey, maintained. When Sciver takes her stance she seems to slouch, to hunch her back as though otherwise her bat won’t reach the ground. Each delivery she faces with fierce concentration, giving her all for the team with each act. But she must have felt some frustration at the procession of wickets at the other end after the fall of Winfield. And then Hartley came in, and achieved the equal lowest score of the innings: no runs. But she faced 17 deliveries in doing so, and didn’t lose her wicket. 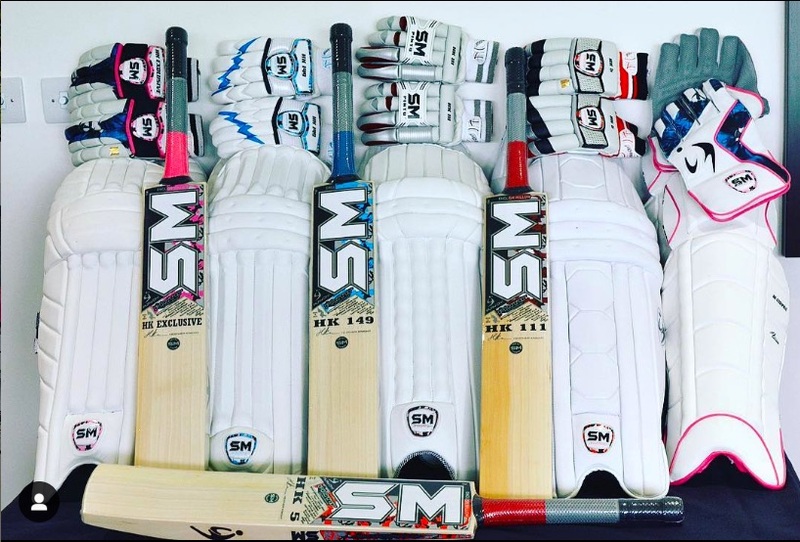 This was what Sciver needed as she scored almost all the runs in England’s ODI record last wicket stand of 42. She finally succumbed to Goswami, but not before hitting 85 out of England’s final score of 162, 52.5% of its total. Knowing her, she would have gladly scored 50 less if only her team could have scored 50 more, but it was a wonderfully brave and determined innings. And she would have been disappointed too, because only if India succumbed the way England had in the first match, was there a chance of defending their total. The pitch was almost emerald green except for the red patches near the wickets. India will have observed that the look of the thing did not matter, it was its behaviour that would count, and it was sticky. Jemima Rodrigues, the 18 year old rising star who had done well in the first match, unfortunately forgot the lessons to be taken from it and, without scoring, sent a Shrubsole delivery off a mishit to Jones. But Raut, promoted to three in place of Sharma, was circumspect and more than capable of keeping Mandhana company. Particularly when the English bowlers seemed to hit their three over limit and begin to lose their direction. Mandhana is probably the most watchable batter in women’s cricket today, with all the time in the world for her cuts, pulls and hooks. And when she gets her eye in and starts lofting the ball straight, there is nowhere else in the world you want to be than watching her. When she achieves that fluency, even her opponents must be glad to be present and getting beaten by her. On a pitch like this, though, with accurate timing nearly impossible, it was like watching Margot Fonteyn dancing in a straitjacket. And yet, she persisted. She defended whenever she needed to, refused to take chances with the ball on her stumps, but also never refused the chance to pull or hook a short straight ball, or one outside leg. On the off stump she can be as brutal, leaning back and carving the ball to almost any part of that half of the field. And this is when she is not at her most fluent. With Raut keeping her company she took the score without any alarms to 74, and when Raut fell to another Sarah Taylor special stumping (standing up to the wicket for Elwiss), Raj simply joined her at the other end and again, calmly and solidly, helped her take the score to 140, by which time the match was effectively over. Raj and Sharma, without any heroics, drained it off any remaining interest as they unhurriedly knocked off the remaining runs needed. None of the England bowlers was bad, but none was outstanding either. Against Mandhana and Raj, in particular, they just did not seem to have enough menace and, apart from Rodrigues, the Indians were not inclined to make mistakes. One last word about Raj, since we started with her. It is the custom of most batters these days to shuffle across to off, or even to fourth or fifth stump line, to receive the ball. This may have been driven partly by the bowlers increasingly targetting the “corridor of uncertainty”, and partly by the modern feeling that turning the ball to leg is a safer way to start scoring than driving in the ‘v’. On a pitch like this, however, taking seam and encouraging the bowlers to cut it in from the off stump, and with bowlers of the calibre of Pandey and Goswami, and Brunt and Shrubsole, this natural movement frequently backfires, and a large number of the batters in these games have been trapped LBW or bowled through the gate. Raj, however, stays where she took her guard, and only moves to the ball when she has determined its line. In short, she moves late and is far less vulnerable to the deliveries that were taking the other wickets. Throughout, therefore, she has looked so solid that it is a surprise if she gets out. Yes this is old-fashioned batting and nearly superannuated in the T20 arena, but on slow pitches, in the 50 over game, it has made the difference between India and England: even more than Knight, Raj has twice provided the spine to the Indian innings, ensuring a score that wins. In the ODI format, at least, any reports of Raj’s demise are greatly exaggerated. Friday, 28th February 2019. India 205 for 8 were beaten by England 208 for 8. India won the toss. The players, and their captains in particular, always do their best to sound enthusiastic about a “dead rubber”. One says that they want a clean sweep, or to avoid the reputation for always losing the last match of the series. The other will say her team are better than they have performed so far, and it is a matter of pride to win at least one of the three to prove it. But the fact is that there is always a “last day of term” feel to it. They will do their duty, but the main prize has already been lost and won, and for all their enthusiastic words, it is really only their duty they seem, a bit grimly, to be doing. At the end, this, the closest match of all three in this series, was nevertheless disappointing, precisely because of this sense that there was not that much to play for, despite ICC Ranking Points being on the line. So when Raj finally won the toss and decided to set England a target, it didn’t seem significant: it was in some ways an experiment, and simply a challenge to the Indian bats to set a decent target. Bisht wasn’t playing, replaced by Rajeshwari Gayakwad a, you guessed it, left-arm finger-spinner. 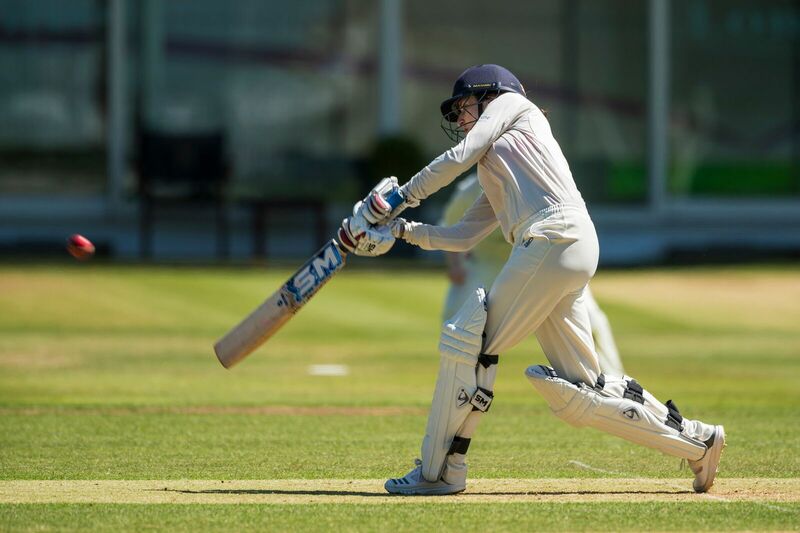 Wyatt was brought back into the England XI, since it was confirmed that the promising teenager, Ecclestone, had a broken bone in her right hand (and had actually played through the second match with it). Winfield, therefore, also stayed in the team, and this meant that if Knight wanted a sixth bowler, those overs would have to come from Wyatt and from her. This may have been an in joke because, fresh or not, each Wankhede pitch has been a clone of the first: a bowler’s delight and a batter’s nemesis. So it proved for Jemimah (pronounced Jem-ee-mah) Rodrigues, bowled through the gate by Brunt’s second ball. There is a pun there about Rodrigues having to bear the Brunt, she having taken first strike all three times this series with Mandhana at the non-striker’s end, but I will not make it. Raut, who looked bedded in at three, joined Mandhana and the two of them, despite England’s openers doing some of their best bowling of the series, blunted the attack and put on 128 runs in 28 overs. Knight, as before, rotated her bowlers, not just her four seamers, but bringing on herself and Wyatt for three overs each, to supplement Hartley, in Ecclestone’s absence. Raut, however, was determined and Mandhana, having seen the same pitch, or pitch conditions, for a third successive game, was again not quite fluent, but not taking chances either. She therefore scored a mere eight fours and one six in her 66. In fact it was to tempt Mandhana to break the shackles and perhaps buy her wicket that Knight set a fielder deep near cow corner, and got Brunt to bowl short at her. The trap worked immediately, with Mandhana, on another superb half century, holing out to Wyatt, who else, in the deep. With that, even without the assistance of a run-out, but with the assistance of Sarah Taylor, there was a collapse of six wickets for 21 runs. Raut was bowled, Raj was caught behind and the hapless Meshram was LBW. All to Brunt, who eventually ended with her second best five-for in the format. Katherine Brunt takes to the field as though she has a grievance against it, but it is that very combativeness and commitment, besides her talent and speed as a bowler, that make the English team look so much more relieved and confident when she is in the XI than when she isn’t. Throughout this series she had been 5 to 10 kph quicker than Goswami, Shrubsole or Pandey (with Sciver slightly slower, and Elwiss a further 10 kph slower still). Brunt even confessed after the end, when she had won Player of the Match that (and this despite the ball going like a banana from her hand a couple of times in her first few overs), she has been working on seam to the exclusion of swing. Goswami, at 36, is still steaming in for India like Bob Willis at Lord’s in 1981, and Brunt is built in the same mould: of complete commitment to the cause. If she stays fit, England could still celebrate having her around for another three or four years. Which can only be good news for them. With Shrubsole and Sciver also taking a wicket each it was up to India’s admirable all-rounder Deepti Sharma (one of only two left-handed bats, along with Mandhana, to be seen on either side for the entire series) and the equally admirable bowler, Shikha Pandey, now resurgent and player of the series for this correspondent, to make a fist of the innings, which they did to the tune of a 47 run stand that took India within three runs of their 200. Yadav then joined Sharma and they managed to take India to the highest score of the series thus far, 205 in their allotted 50 overs, losing eight wickets along the way. At the start of the series this would surely have been seen as a disappointing score that either of the teams should have been able to chase down without too many heroics or too much drama. By this endgame, however, it was clear that it was going to be difficult for the team batting second to win. England’s openers, however, Beaumont and Jones, seemed initially to have learned the lesson of the pitch, and frequently defended when they might otherwise have driven the ball. They were helped by the fact that, for the first time in the series, India’s bowlers, Pandey in particular, seemed to have turned off their radar, and sent first one down leg and then one wide of off and so on. In between there were dangerous deliveries and seemed to be given the respect they deserved. Then, Jones could not resist lofting one straight to Mandhana. Winfield attempted to slash one outside off to nick off to the keeper. Beaumont attempted a drive and skewed it to Meshram, and then, astonishingly, the usually disciplined Sciver came forward to drive and lobbed a catch back to that admirable all-rounder, Sharma. All England’s first four wickets went to attempts to force the pace, on a pitch that, along with its nearby clones, had done its best to put its arm around their shoulders and advise wiser, safer counsels and methods. When Taylor, not so intrepid, but still shuffling across her stumps in the approved modern manner, was LBW to Pandey, England had lost five wickets for 24 runs. So Wyatt, as she joined her self-denying captain, Knight, had a second opportunity to prove she could bat in ODIs, even in the sub-continent. When India’s men toured Australia in 2003-2004, the great Sachin Tendulkar decided he was getting out too often to the cover drive, despite its being a productive stroke for him and one of his favourites. As a consequence he cut it out of his repertoire for the Fourth Test and scored a slow, but assured, 241 in the first innings. (He added a 70 or so not out in the second innings just to make the point more firmly.) This, almost monk-like, discipline is still spoken about in awed tones wherever cricket is popular, and it is very popular in India. Wyatt did something similar. In her T20 pomp she is one of the hardest hitters of the ball and her favourite shot is the lofted drive in the wide ‘v’ between midwicket and extra cover. She did not play it once in her 56 runs. She did not even sweep. Instead she waited for the ball wide on off stump and cut it. She glanced the ball going down leg or tucked away the full ball on her legs. Sometimes she drove, softly and along the ground, for a single. And it was thus that she achieved her first ODI half century. For someone with two T20i centuries and three fifties, that is a remarkable statistic. Knight (Knight I ask you!) had previously been out on another substantial score, 47, losing her patience outside off and flashing at a ball too wide to drive and too close to cut. Of course Bhatia took the catch. 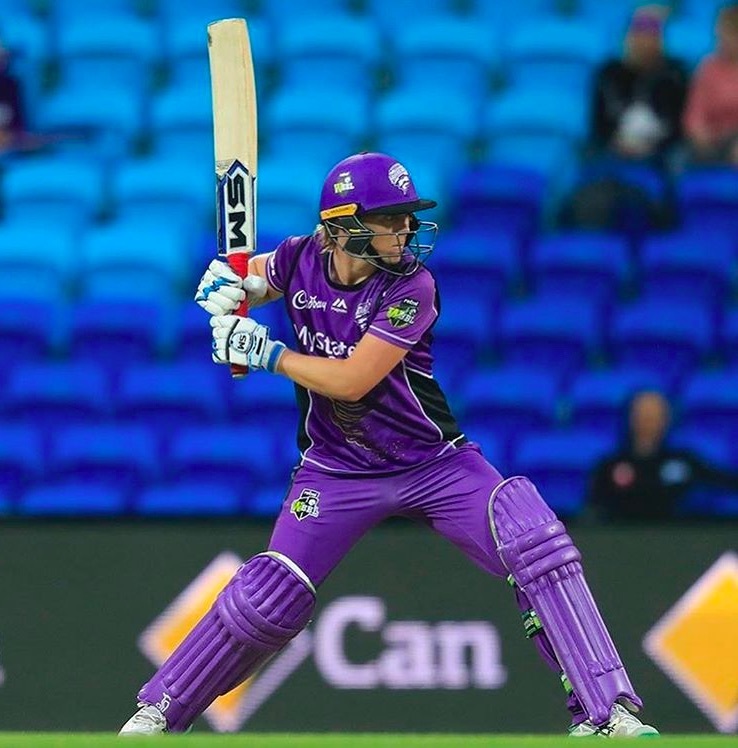 But Wyatt, instead of losing her head, shepherded the innings, letting Elwiss show her ability with the bat as she slowly gained confidence, and took the innings up to 174. And then, for whatever reason, she decided to go back to habit and loft a drive. And yes, as if to hammer home the lesson, the first time she tried it she holed to Meshram in the deep. It might have been a disappointing end to her innings but it may just have convinced her that, on slower pitches, she has all the strokes and all the defensive technique she needs to play substantial ODI innings without bringing her all-action T20 style into play. At 174-7, then, England’s chances were still very much in the balance. Elwiss had shown she could repel the bowlers and score when needed off the loose deliveries. For Brunt, however, this was a sort of purgatory. Both Yadav and Gayakwad turned the ball, serpent-with-an-apple-in-its-mouth style, away from her outside off stump, tempting her to play and miss, and look even more suspiciously at every delivery. Eventually she settled on that modern standby, the stroke that has changed white ball batting as much as the Fosbury Flop changed high jumping: she began to employ the hoick. Now the hoick is not a shot describable in terms of the orthodox coaching manuals, being neither a drive nor as pull, neither properly front foot nor properly back foot, neither played with a straight bat nor with a horizontal one. It is played as though one were cover driving in the manner of Joe Root or Virat Kohli, away from the body and using the eye to get bat to ball, standing upright having stepped forward but leaned backward. But then, to achieve the true hoick, one takes the ball outside off and, using the accepted golf swing, sends the ball in the direction of mid-on or midwicket. Brunt employed the hoick, but sent it along the ground, safely, to achieve 18 runs with just one boundary in the lot. With Elwiss at the other end still batting as though she understood what was happening, Brunt effectively helped England, from a still parlous situation to within two runs of victory, using, as Kenneth Grahame might have said, matchless valour, consummate strategy, and a proper handling of sticks. Shrubsole, in next, immediately hit a four to end the thus far closest game of the tour (not counting the practice match during which Heather Knight again proved her worth to England). So the teams, or rather the chosen squads, head to Guwahati, still on IST, but about an hour and twenty minutes ahead in terms of sunrise, of Mumbai. Given the T20s are being played during the day, they are likely to be hot all the way through. It will be interesting but the mere fact that we are looking forward to that shows how anticlimactic, in some ways this match was. India will be wondering about their often-fragile middle order. Knight will perhaps wonder what she can do about the headpiece-filled-with-straw attitude of her top order. And so the series ended, not with a bang, but a whimper. Writing about cricket is one thing; but sometimes there is nothing quite the same as getting out there and playing it. I do plenty of the former, but there are times when I miss picking up a bat. Last summer, the ECB launched its first Women’s Soft Ball Cricket Festivals: an initiative designed to get more women of all abilities playing the sport in a fun, relaxed environment. This year the scheme has been expanded, with hundreds of Soft Ball Festivals taking place across the country. I last played cricket years ago, at university; my late entrance into the game (years of Nicholson Beach Cricket, but no formal coaching) meant that I was never destined for greatness. The problem for women like me is finding a route in to club cricket: how do we work out where our nearest club side is? And would we find a welcome there if we did? Soft Ball Cricket is the perfect initiative in that respect: “It’s a game for absolutely everybody, no matter your skill level, fitness, or age,” say the ECB. The Festival I took part in was held at Loughborough University, right before Loughborough Lightning’s KSL match against Southern Vipers last weekend. It was a perfect representation of the all-abilities, all-ages mantra: a local club side formed one team; another team was made up of mums and daughters; and the third, my side, was formed of individuals. All three sides therefore got to play two 8-over matches. The way in which Soft Ball Cricket works is incredibly inclusive. Everyone gets the chance to bowl an over (either underarm or overarm), and everyone bats for 2 overs, alongside a partner. If you get out, you switch ends with your partner, and wait for another opportunity in a few balls time. Not only did we get free Loughborough Lightning t-shirts (I’ve been sporting mine ever since!) but we also got free Pimms, strawberries and cream, and free tickets to the Lightning v Vipers match afterwards, which most of us stayed on to watch, sitting in deckchairs around the boundary. What I loved most about the day was the supportive atmosphere. There was no embarrassment in putting down a catch, or swinging dramatically at a ball and missing it completely (guilty as charged!) My team won our first match but lost our second; but it didn’t much matter. It was just great to be out playing in the sunshine, and having fun. The ECB should be hugely applauded for the whole initiative, which fills a big gap at the recreational levels of the game, and which I hope will lead to many more women (and girls) finding an accessible way into playing our sport. If you want to sign up to play Soft Ball Cricket, it’s not too late! Find a list of festivals available in your area here.